Dry Oyster Mushroom Manufacturers in West Bengal - Shree Shyam Dealcom (P) Ltd. Dry Oyster Mushroom Manufacturers in West Bengal - Shree Shyam Dealcom (P) Ltd.
Shree Shyam Dealcom (P) Ltd. is a leading manufacturer and supplier of mushrooms in West Bengal. 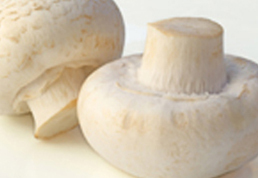 With our factory base in Bihar, we provide the most edible and delicious mushrooms at affordable rates. We are an entirely customer-focused company and assure the highest standards of quality in our product range. Quality food, health, and environment are the major concerns our country is facing today. This food product helps in addressing the issue of nutritional security and also provides a solution for proper recycling of agro-wastes. It is rich in protein content, low in cholesterol, high in fibre, and contains adequate amounts of sodium, vitamins, and minerals. Yet again, the food also has bioactive substances like protein-polysaccharide complexes and beta-glucans which show medicinal properties. These substances can help the body fight viral infections and many forms of cancer as well. We, at Shree Shyam Dealcom, are the mushroom manufacturer in West Bengal that produces only the edible varieties of the food, which are fleshy, tasty, and healthy. Take a look at our product range below. This is perhaps the most popular variety which is consumed all over the world. The button variant is also the most sold worldwide. We, at Shree Shyam Dealcom, cultivate this variety freshly and round the year, every time we receive an order. Such an order can be in bulk or at a small scale. Trained professionals handle the cultivation process so that the best yield results. This variety of mushrooms is of high nutritional value. It is a rich source of protein, fibre, and Vitamin B, and contains low amounts of fats and carbohydrates. It helps prevent obesity as its water content is very high. It also assists in the prevention of headaches and migraines by dint of its vitamin content. The button variety is also a potent source of copper, selenium, and potassium, which help the body fight free radicals, and keep the risks of strokes at bay. Regular intake of the food strengthens the body’s immune system, makes the veins more robust, and improves the circulatory system too. The production unit of Shree Shyam Dealcom is located in Devgarh (Jharkhand) where the entire process – right from the preparation of the spawn (seeds) and the compost, to spewing (mixing), casing, growing, and cropping is carried out. Thus, when you buy this food product from us, be ensured that you are purchasing nothing but a farm fresh variety that suits your domestic and commercial requirements best. At present, we supply this range of product across industries, including hotels and supermarkets. 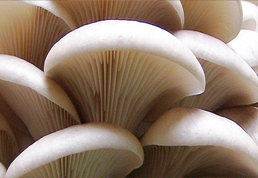 Shree Shyam Dealcom is also an oyster mushroom manufacturer in West Bengal. We understand the growing demand for Dhingri (oyster mushroom) in the country and attempt to produce this range of product to meet this need effectively. We are the bulk as well as retail suppliers of the same; our food product is available for hotel, restaurant, and domestic usage as well in different packages of varying weights. Our sales are not limited to only within the country. Rather, they have crossed the global boundaries and are now exported to different parts of the globe. The growing demand is because of the nutritional benefits of the food item. It is a delicious edible, and is rich in vitamins – B complex, C, and B3. In fact, the content of vitamins in this food is ten times more than that in any other edible source. This apart, Shree Shyam Dealcom is amongst the most trustful dry oyster mushroom manufacturers in West Bengal, who cultivate the food rich in fibre and protein. Consume this range of food so that you can fight diseases like obesity and diabetes easily. Further, it is a rich resource of minerals like phosphorous and calcium, which strengthen teeth and bones. This particular variety also helps in managing cholesterol and blood pressure levels in the body and adds to a balanced diet of a healthy life. Why Buy Mushrooms From Shree Shyam Dealcom? 1.The food is cultivated under the most hygienic conditions. 2.Only the edible variety is delivered in the market after rigorous lab testing. 3.The mushrooms we cultivate are of the highest quality and very delicious. 4.We take special care to maintain the nutritional richness in them. 5.We handle bulk as well as small scale orders. 6.Our product range is available for commercial as well as domestic use. Want to buy mushrooms? Look no further than Shree Shyam Dealcom. To place an order, contact us at: 9836002640/ 9831116656 / 9331808640 or drop us a line at info@shreeshyamdeal.com.